So it became apparent when fiddling with the voltmeter that some slight alteration to my schematics for the power supply would be necessary. The datasheet for the 7107 as well as many posts tell me that it is best to have an isolated supply for the meters. This makes a great deal of sense, this way the meters will be unaffected by whatever happens to the power supply it’s measuring. To make an isolated supply, I will have to separate these two using a transformer, meaning it has to be on the AC side. I know what you are thinking (as I thought myself) “oh what a pain, I need another transformer/rectifier/filter” but really, it’s not so bad, and in the name of accuracy and better function why not? It’s easy enough to get a transformer, a bridge rectifier and a couple of caps soldered together. Since it’s not used for the main power supply, the current rating can be far less. In addition, I can use it to generate other control voltages I need allowing for a guaranteed clean signal and control of the main power board. So, everybody wins! I even thought of a way to reduce the number of components and go with a single output transformer so I believe at the end of the day, the benefits and cost will balance nicely. The 7107 requires a dual symmetrical ±5V power supply. In the original schematic above, I use a cascade of positive and negative voltage regulators to achieve this. As it turns out, I happen to have another Intersil part – ICL7660 – which can make a symmetrical supply from a single one no problem. So right off the bat I can leave out three voltage regulators, not bad! I will have to perform a few more tests to be sure though. I believe I read that the 7660 can sink up to 45mA so I need to monitor the -5V rail on my voltmeter to see if two meters would exceed 80% of this figure. 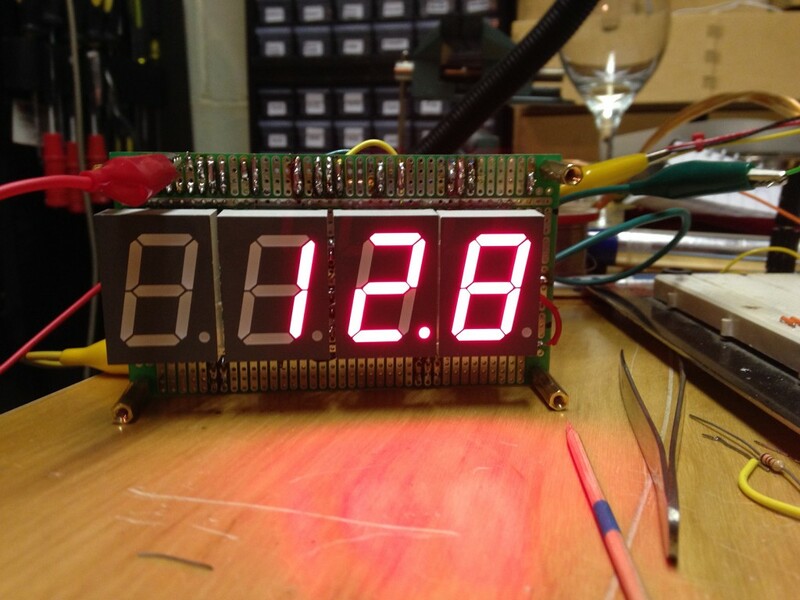 Doubtful since the displays are driven off the +5V supply. Still worth checking though in case I have the current path wrong. As I mentioned above, this supply is not just for the displays, but also provides two voltage references which I would like to be independent and accurate as these will set the Voltage and Current Limit on the main board. If I get a large drain on the main board, the control voltages will be unaffected. The more I think about this, the more I like it. 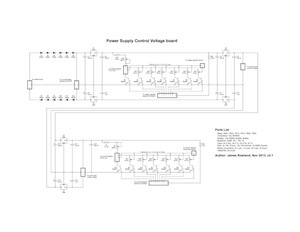 Also, it will power the 4 relays ensuring proper operation. Looks like it may just work. My only concern is the relays providing too low an impedance path to ground which may screw everything up. That’s what testing is for! I’ll post an updated schematic when I have a moment to create one and illustrate this idea a bit better. Time also to raid my parts, I know i have a bridge rectifier and caps for it and I’m hoping one of my salvaged transformers will do the job. If not, I’ll buy one.